Welcome to Ashley's Body Shop located in Clinton Michigan. We specialize in automotive restoration and body shop services. 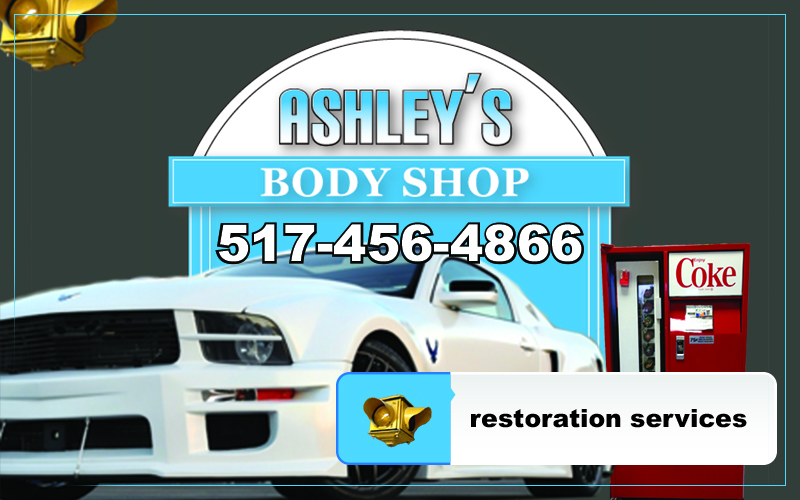 Ashley's also provides engine repair services. Stop in or call for an estimate! We also restore bikes, coolers, pop machines and more. Stop into our showroom to see our work.